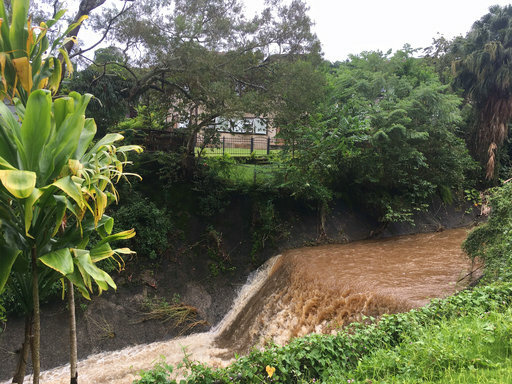 HONOLULU (AP) — Honolulu officials said a dam holding 21 million gallons (80 million liters) of water was not in danger of collapsing Thursday, but still warned nearly 10,000 residents downstream that they might need to evacuate after a tropical storm caused water levels to rise in the reservoir. 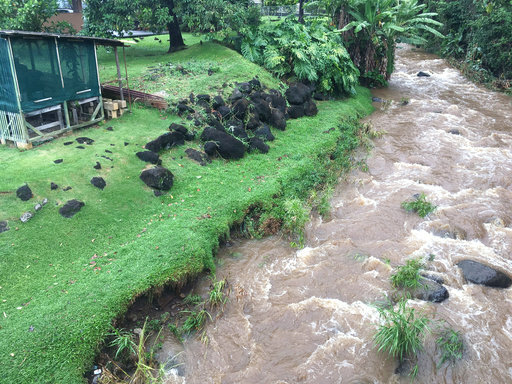 Water levels in the dam rose 4-to-5 feet (nearly 1.5 meters) overnight as heavy rains from Tropical Storm Olivia dumped 7.3 inches (18 centimeters) of rain in the area. 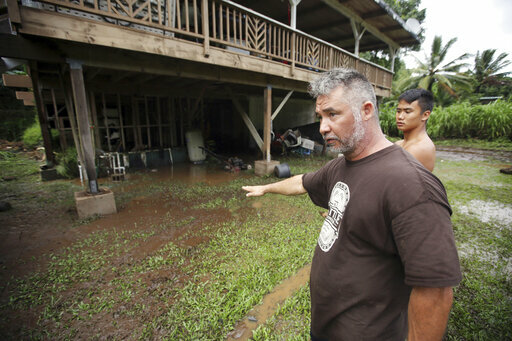 Meteorologists downgraded the storm to a tropical depression as it moved away from the islands, but warned lingering moisture could bring more rain. 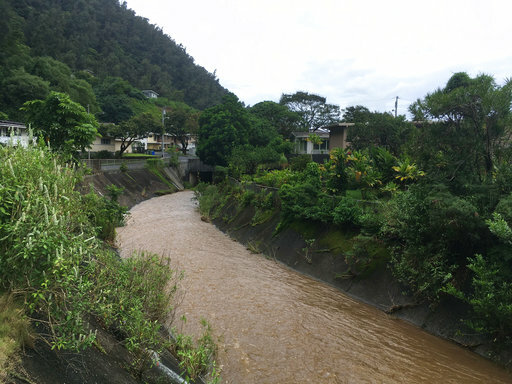 The Board of Water Supply, the agency that manages the dam, said plans call for a mandatory evacuation if the water reaches 1 foot (30 centimeters) under the top of the dam. The water was 5 feet below the top of the dam at midday Thursday. It's also 18 inches (45 centimeters) below a spillway. Areas downstream would flood if water goes over the spillway, said Ernie Lau, the agency's chief engineer. 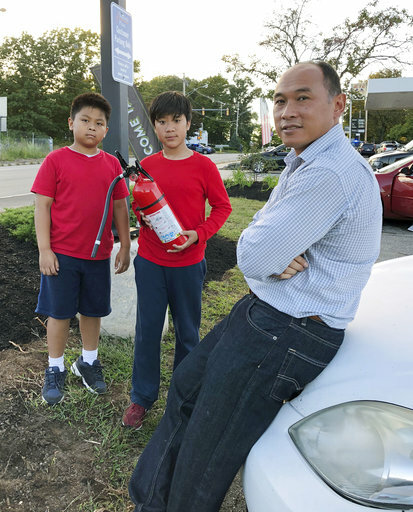 "We want people to know, if you live near a dam and were the dam to fail, these would be areas we would want to evacuate before the failure of the dam," Lau said. "But we're nowhere close to that." The dam is called Nuuanu Dam #1, an earthen reservoir built in 1905 in a residential neighborhood near downtown Honolulu called Nuuanu. 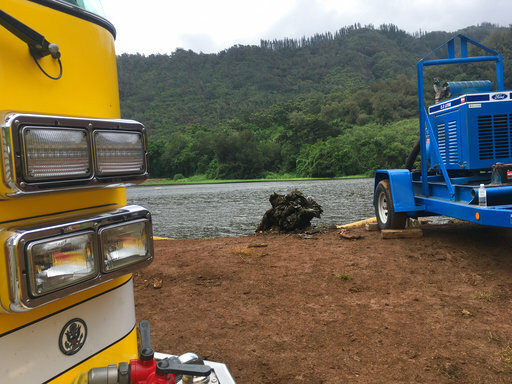 Lau said workers began siphoning water away from the dam before Olivia reached the islands. But these efforts were unable to keep pace with the rain that fell during the storm. 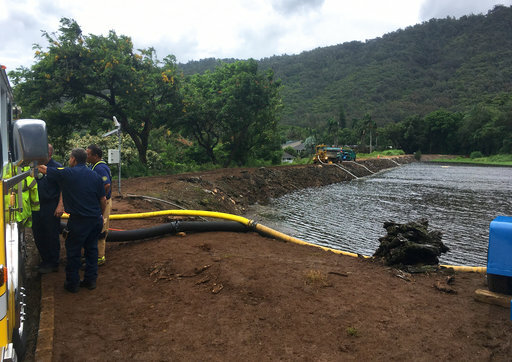 On Thursday morning, Lau decided to begin pumping water out of the dam with the help of Honolulu firefighters. Lau said workers made some headway and water levels came down by 2 to 3 inches. He said they'll make more progress if the rains decrease. Pumping will continue over the next week, he said. 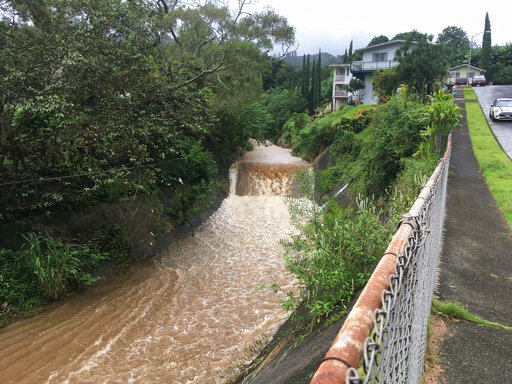 The agency, which is the water utility for nearly 1 million people in Honolulu and surrounding towns on Oahu, said it would coordinate with the city on any evacuation notice. 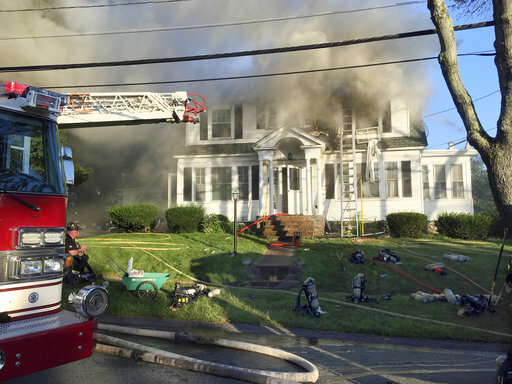 Andrew Pereira, a spokesman for the city, urged residents to be aware of the situation. 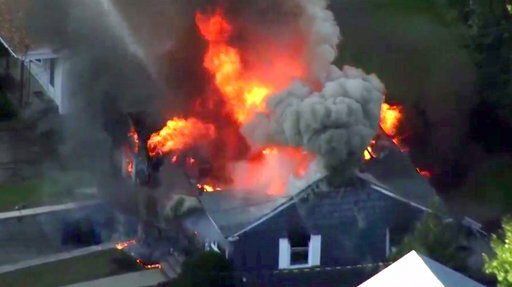 "While it appears the rain is subsiding, we are taking a cautious approach and asking residents to remain on alert," he said in an email. Sherwod Chock, an artist who has lived in the neighborhood for nearly 50 years, said officials have never warned about high water levels in the dam before. "It looks it like it can hold it, but you never know," he said. 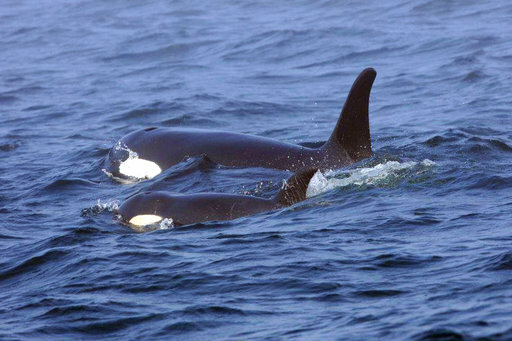 As for whether he had plans if the dam breached, he said: "I think God's going to take care of us." 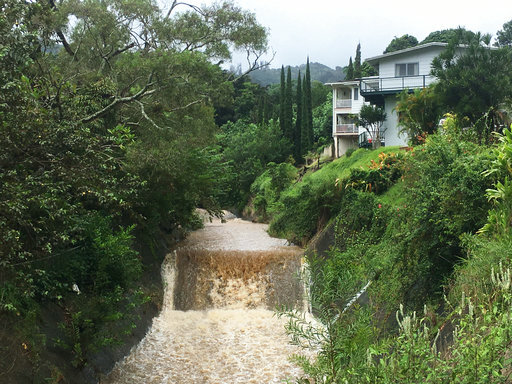 The dam is one of multiple dams in Nuuanu that are used for flood control. 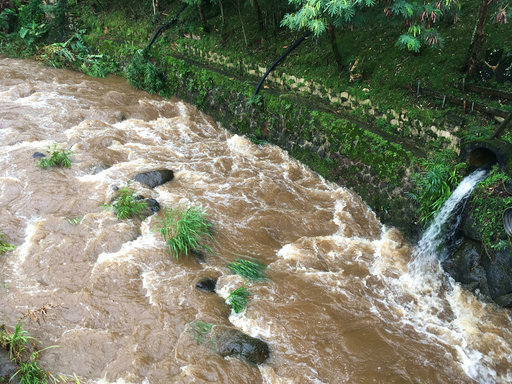 Water levels at a bigger dam, Nuuanu Dam #4, are much lower. 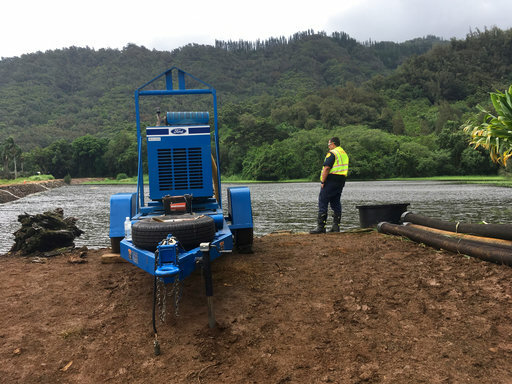 This dam also has an additional method for releasing water in a controlled fashion that Nuuanu Dam #1 lacks. 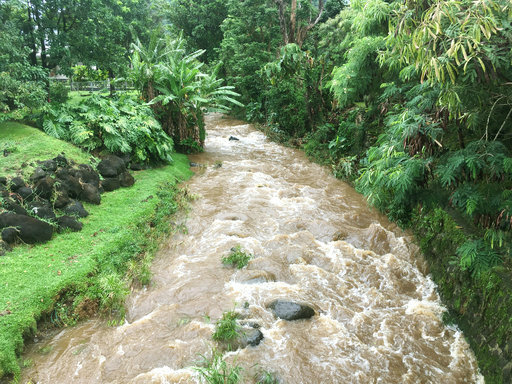 Meteorologists say moisture will linger through Friday, with additional rainfall of 3 to 5 inches (8 to 13 centimeters) and isolated amounts of 6 to 8 inches (15 to 20 centimeters) on higher terrain. 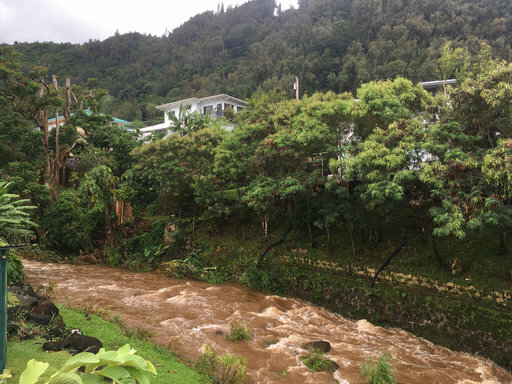 That could cause life-threatening flash floods because the ground is already saturated, the Central Pacific Hurricane Center said in a statement. 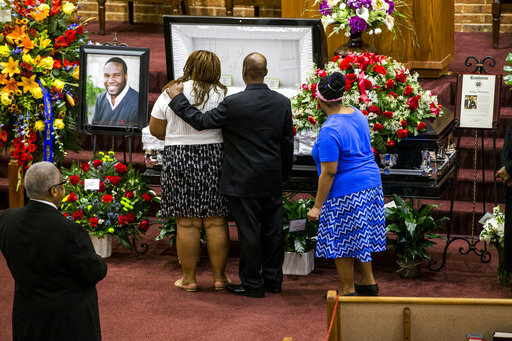 The storm, which was a hurricane earlier in the week, slowly weakened as it neared the state. President Donald Trump has signed a disaster declaration, which will help FEMA respond, Gov. David Ige said. 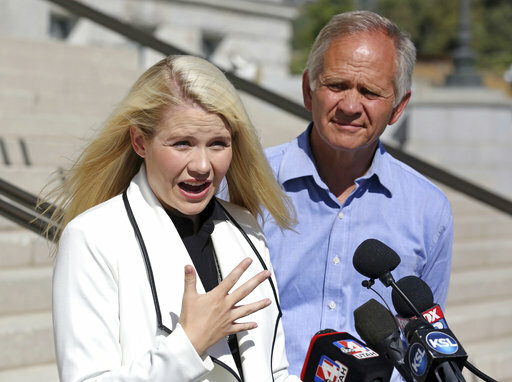 Elizabeth Smart said Thursday the news that one of her kidnappers will be released from prison next week was "a big shock," and she hopes there is a way the woman can be committed to a treatment facility. Hurricane Florence has begun to batter the Carolina coast, and she's not going away anytime soon.